NEWPORT NEWS, Va. (WAVY) – The Newport News skyline just changed. 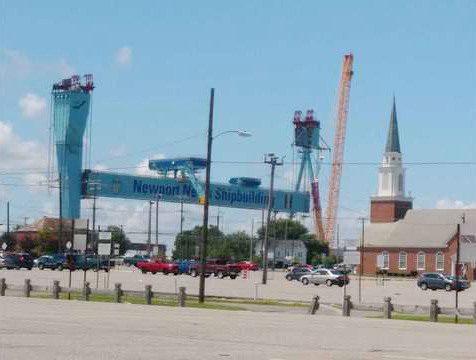 Over the weekend, the shipyard lifted part of its new crane into place. Workers lifted the girders of the new 315-metric-ton Goliath gantry crane on Saturday, August 4. Huntington Ingalls released a cool time-lapse video of it being lifted. Once it is fully operational next year, the crane should help workers as they build bigger and more advanced ships in the future.